Kurunegala branch of Lyceum Group of international Schools was ceremonially opened at No.71, Udawalpola Road, Kurunegala recently. The ceremony was graced by Hon. KavindaJayawardane, Member of Parliament for Gampaha District and Chairman of National Youth Front. 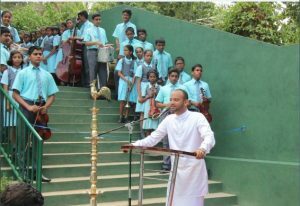 MrsKumari Grero Coordinating Principal, Mr.Nikitha Grero Principal, MrHarsha Jayatunga Maintenance and Construction Manager Lyceum International School – Kurunegala and Gamini Peramunage, former Mayor, Kurunegala and a large number of distinguished guests participated at the occasion. Dr. Kavinda Jayawardane stated that “the role of school and teachers should be not only to provide education but also to nurture children on our culture, values, history and heritage since childhood. He further said that, as an old Lyceumer, he was proud to announce the fact that Lyceum International School has that culture. The Lyceum International School which is a brain child of Mr. Mohan Lal Grero, a veteran educationist, provides a great example in developing international school system in Sri Lanka with unique Sri Lankan identity ’’. 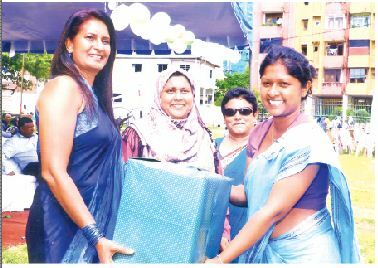 Nikitha Grero, Principal of Lyceum International School, Kurunegala mentioned that the school is committed to provide standard international education to children in the area as anticipated by parents. Lyceum group of schools has proved producing of children fitting to the present technological world along with social values and Sri Lankan identity over the last twenty three years. Nittambuwa whiz-kid montessori and its academy; the london academy of english Takes the lead again!